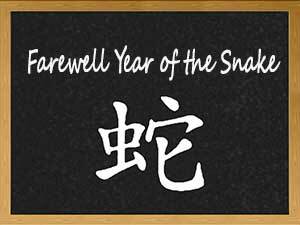 As you may know, we’ve come to the close of the Chinese Year of the Snake. And, because you know I love food, I thought it only fitting to show a contest of Chinese chefs in a timed contest for preparing fresh snake (and live fish)—the prep time is literally one minute. 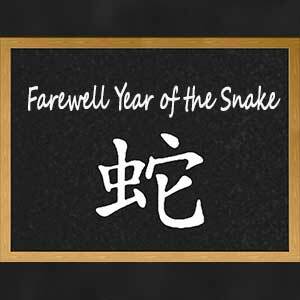 The snakes and fish must still be moving when the finished dish is served or the chef fails the contest. Click Here to watch! If you do this for a living, the risk of getting bitten by the snake is basically an on-the-job hazard! The clip reminded me of a real-life case where snake bites were an occupational hazard in Alabama: Johnnie L. Odom was an employee of Mercy Logging, LLC. His duties included trimming, binding, flagging, and delivering the loads to timber and paper mills. On the morning of September 24, 2009, Johnnie was part of a logging crew that rode a labor truck to the job site. At the end of the work day, they were removing “Trucks–Entering–Roadway” signs and they saw a diamondback rattlesnake. When the driver saw the snake, he swerved the truck in an attempt to run over it. One of the other employees called out: “Don’t kill it; let’s catch it.” The driver stopped and all four men exited the truck. One of the men, Nelson, bent over the snake to catch it with his hands. Johnnie (who stated that his father had taught him how to catch snakes, that he had caught as many as 100 snakes in the past, and that he had never been bitten by a snake) testified that it had appeared to him that Nelson did not know how to catch a snake and was in danger of being bitten. (Something tells me you can guess what’s about to happen.) There was some dispute in the trial testimony as to what happened next, but they “pinned” the 6’ 3” snake with a forked stick. Ultimately Johnnie grasped the snake behind its head and dropped it into a bucket. In the process Johnnie was (you guessed it) repeatedly bitten on both hands. He was hospitalized and then airlifted to an intensive-care unit for the next 35 days. He suffered from a “frozen” shoulder and extensive and prolonged swelling of his hands and arms and later pain in his neck and upper back. At trial, both sides testified that rattlesnakes are an occupational hazard, threat, and danger to the logging crew when working in the woods. 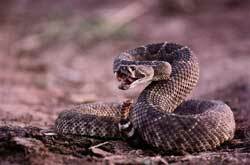 Company policy was to remove rattlesnakes from its employees’ work environment by killing them. Prior to the incident, Perritt, the driver of the truck, killed many snakes while working for Mercy, including running over snakes with Mercy’s labor truck while leaving job sites in the woods. Perritt testified that snakes crawling on the roadway toward a Mercy job site in the near vicinity of the job site are potentially more dangerous to Mercy employees than snakes not located near the job site. Q: Now what’s the purpose of catching of a snake? Why would you want to catch it as opposed to kill it? A: Well, that’s a good question, I guess. A: Kind of a dumb thing. Q: Okay. Did catching a snake have anything to do with getting your job done at Mercy Logging? Q: Okay. Was it part of [your] job duties to catch that snake? Q: Was that snake in any way interfering with your ability to perform your job duties [of] cutting timber and loading up and driving to the paper mill or what have you? A: No, sir. I wish we would have just went on and hadn’t stopped. Q: Was there any business reason, work reason to catch that snake? It seems that the only reason Johnnie gave was one might want to catch a snake to keep it alive so that it could be eaten. This reason did not seem to sway the Court. Why is this testimony important? Johnnie had sued Mercy for his injuries from the rattlesnake bites. He had over $310,994.57 in medical expenses. The trial court found Mercy was responsible along with disability benefits and attorneys’ fees. Mercy appealed, arguing Johnnie’s injuries did not arise out of and in the course of his employment. 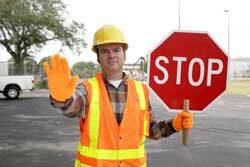 Generally, a workplace injury must “arise out of” the course and scope of employment. Basically, that means there’s a causal connection between the injury and work conditions for an employer to be liable for the injury. In other words, an employer should be responsible when the legal cause of the injury results from an occupational risk. If there is no causal relation to work, then the employer is not liable. The trial court found rattlesnakes were an occupational hazard to Johnnie and other employees of Mercy. It also found Johnnie was bitten by the rattlesnake at a time and at or near a place and while performing an activity for which he was hired by Mercy, that he caught the rattlesnake with Mercy’s acquiescence, and Mercy and its employees received an economic benefit by Johnnie’s activity in removing the rattlesnake from or near Mercy’s job site. It found the personal injuries and disability suffered by Johnnie were in the course of his employment with Mercy. The Appeals Court, however, found the trial court addressed whether Johnnie’s accident occurred “in the course of” his employment, not with whether the accident “arose out of” his employment. The Appeals Court concluded the material question was: whether Johnnie’s occupational risk of being bitten by a snake during logging operations in the woods had any causative relation to the snake bite that Johnnie actually suffered on September 24, 2009, when he voluntarily left the safety of the vehicle in which he was a passenger and attempted to catch a snake that was lying on the roadway. The Appeals Court ruled the snake posed no risk—occupational or otherwise—to Johnnie so long as he remained in the vehicle in which he was riding. Once he voluntarily exited the vehicle and attempted to catch the snake, the risk that caused Johnnie’s injury was personal to him, because it was not peculiar to loggers: “it was one that would be shared by any passing motorist who, after having spied a snake on the roadway, alights from his or her vehicle and undertakes to catch the snake.” Johnnie’s injury did not occur while he was conducting logging operations or while he was in the woods. 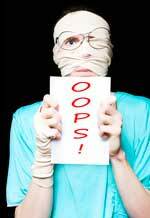 Thus, Mercy was not responsible for Johnnie’s medical expenses, disability benefits, or attorneys’ fees. Keep in mind this is a case from Alabama so you should check with an attorney in your state for your particular employment laws! Think this has nothing to do with you? Think again! Did you know that your business may be subject to OSHA (Occupational Safety and Health Act) even if you only have one employee? Did you know non-profits may be subject to OSHA? Log of Work-Related Injuries and Illnesses (Log) (OSHA Form 300). Annual Summary (OSHA Form 300A). Click here to get these forms for free. P.S. As a side note, trial testimony from his fellow employees was they “were going to make [Johnnie] a [snakeskin]belt but never did get around to it.” Poor Johnnie all the way around!